For many kids, Easter means one thing: hunting for eggs and candy to fill their Easter basket. But one mom, Natalie Ard, got an idea for her kids to celebrate the “true meaning” of the holiday in a fun and creative way. 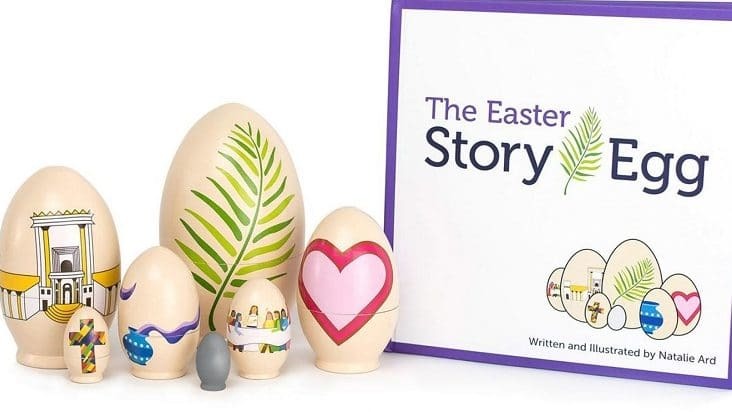 She created the Easter Story Egg, a set of seven nesting eggs that tell the biblical story of Jesus starting on Palm Sunday and ending on Easter Sunday. 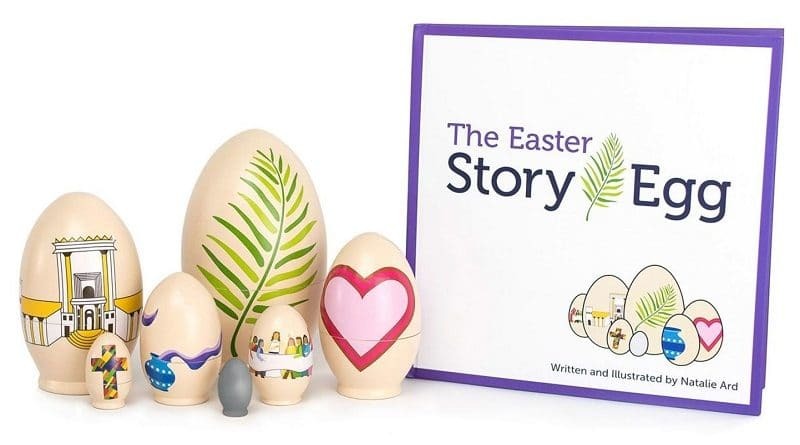 The handcrafted eggs come with a book that tells a story for every egg in a rhyming fashion. They can be read all at once or day by day. For Palm Sunday, the largest egg has palm leaves painted on it. House of Prayer Monday explains the temple. Tuesday is on the “Teacher of Love” about Jesus’ ministry of love to the world. Wednesday discusses “Give and Take,” comparing and contrasting Judas taking money to hand over Jesus and the woman who used the alabaster jar to wash Jesus’ feet. 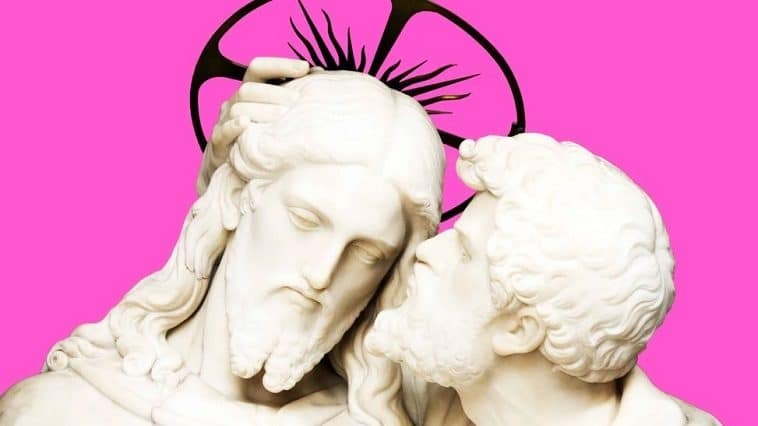 Thursday is about the Last Supper and the following day is Good Friday, about the cross. The Alamo, Calif., mom started Star Kids Company after she created “Star From Afar,” an interactive advent calendar and play on the “elf on a shelf,” letting the kids search for the star, which eventually leads them to Jesus in the stable with Mary and Joseph and the animals.